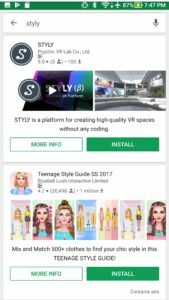 This article introduces how to experience a VR scene made by STYLY (Daydream, Mirage Solo with Daydream). 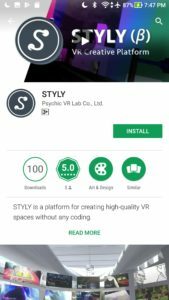 STYLY has a VR VIEWER for Daydream, Mirage Solo with Daydream. 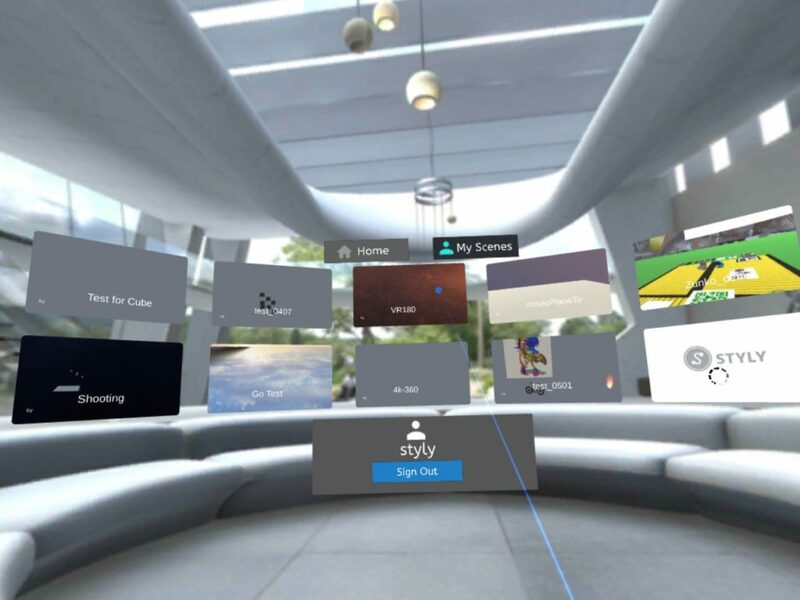 We will introduce how to download, start and operate the VR VIEWER. 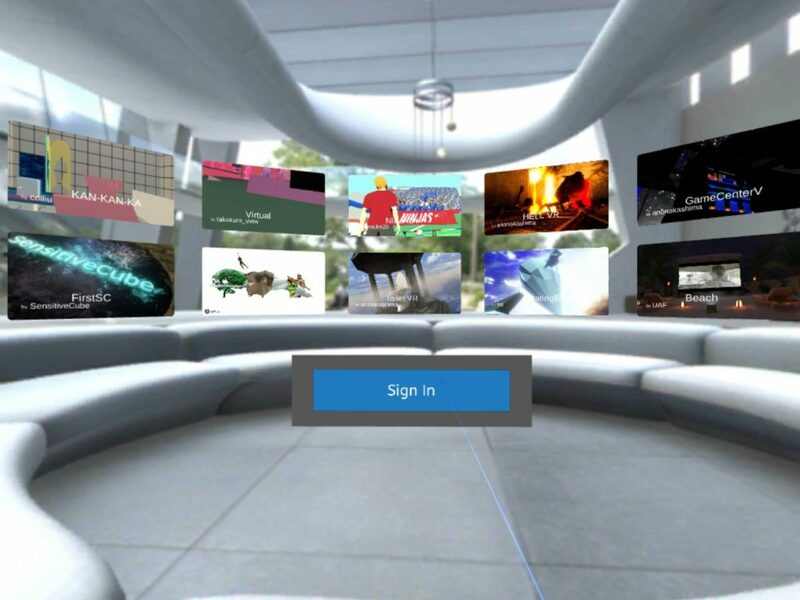 You can experience a VR scene in STYLY with a smartphone which is correspond to the Daydream. 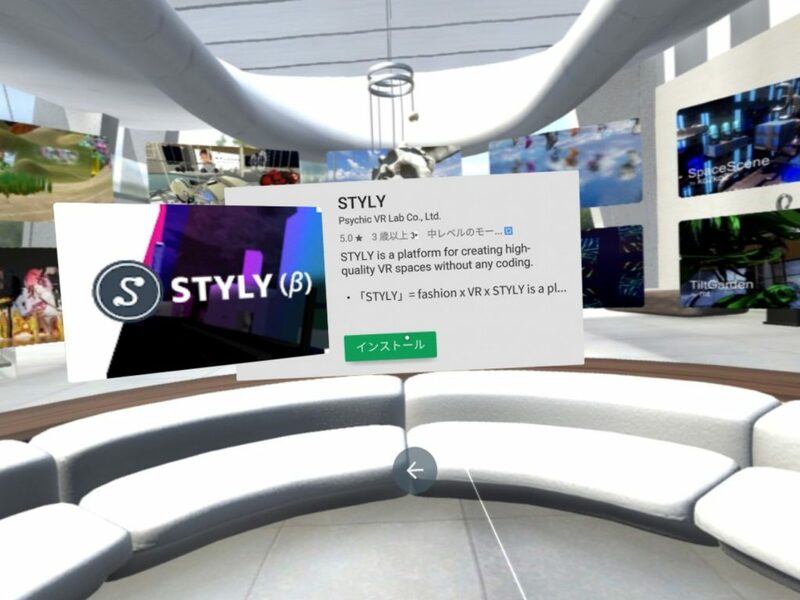 We will introduce how to download and install the VR VIEWER for the Daydream. Access to a Google Play. Input “STYLY ” to a search form. A STYLY application will appear. Click an [INSTALL] button. Installation will be started. 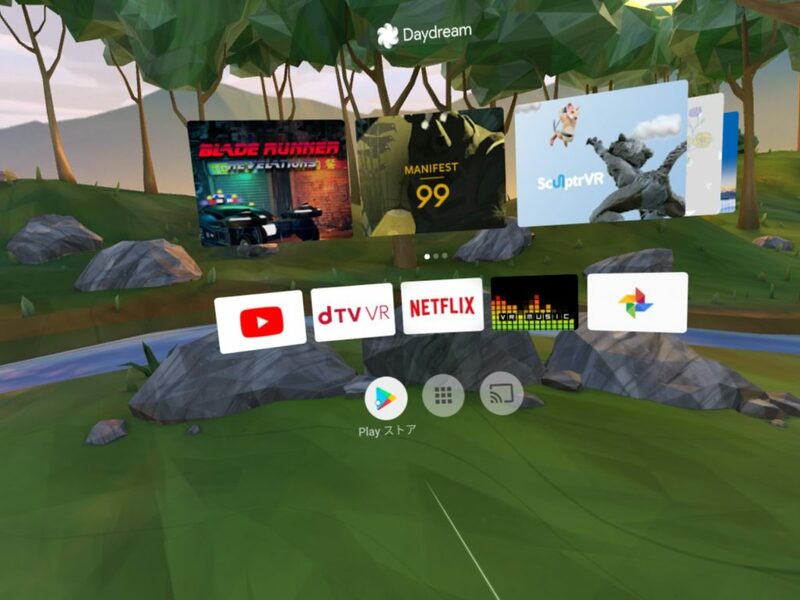 Click an [OPEN] button and start the Daydream VR VIEWER. You can experience a VR scene in STYLY with the Mirage Solo. 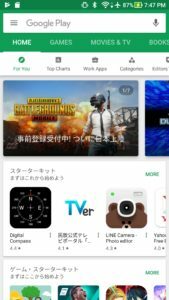 Access to the Google Play. 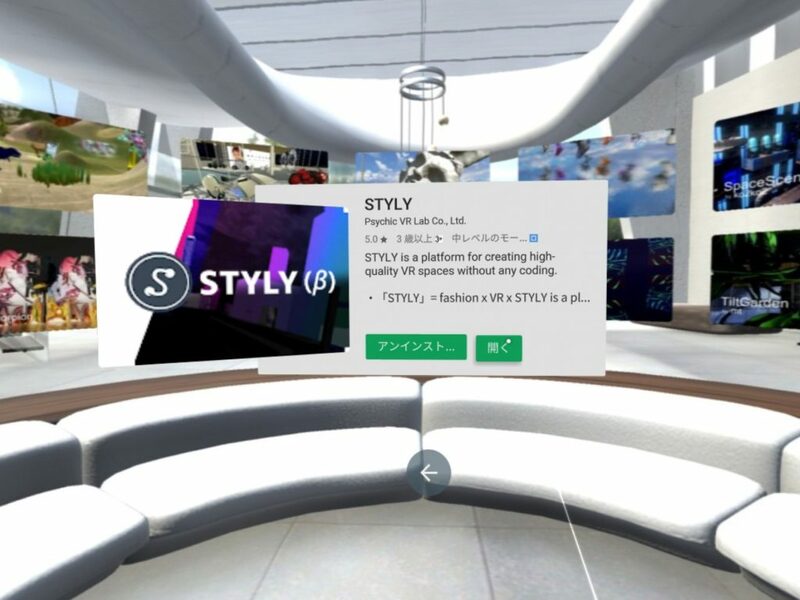 The STYLT application will appear in a category of Art, News, Culture(アート、ニュース、カルチャー) and click it. 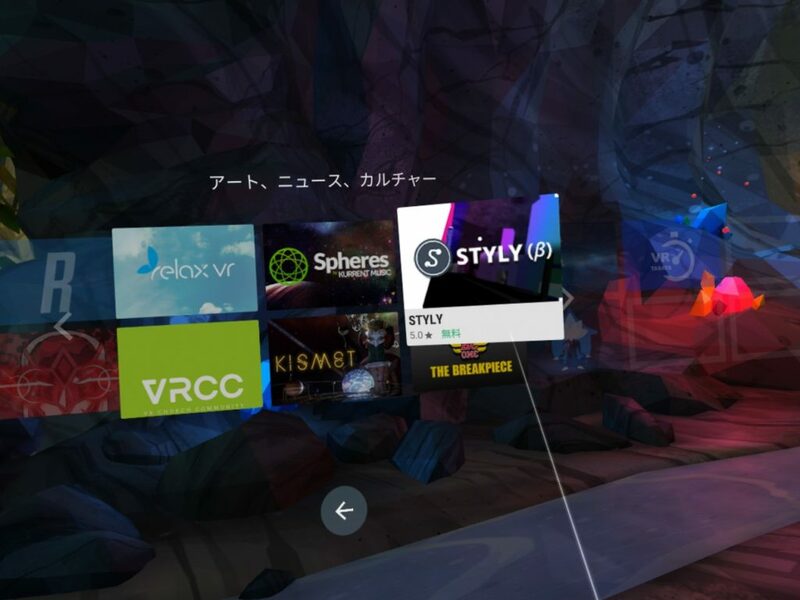 The Daydream VR VIEWER will appear after clicking a [開く](open) button. We will introduce how to use the Daydream VR VIEWER. You can login your own an account. Click a [Sign In] button. A window for an account will appear. A keyboard will appear by clicking a blank in the window. You will login after inputting information. After login, a [My Scenes] screen will appear. The way to experience the scene is clicking a thumbnail after setting a point. 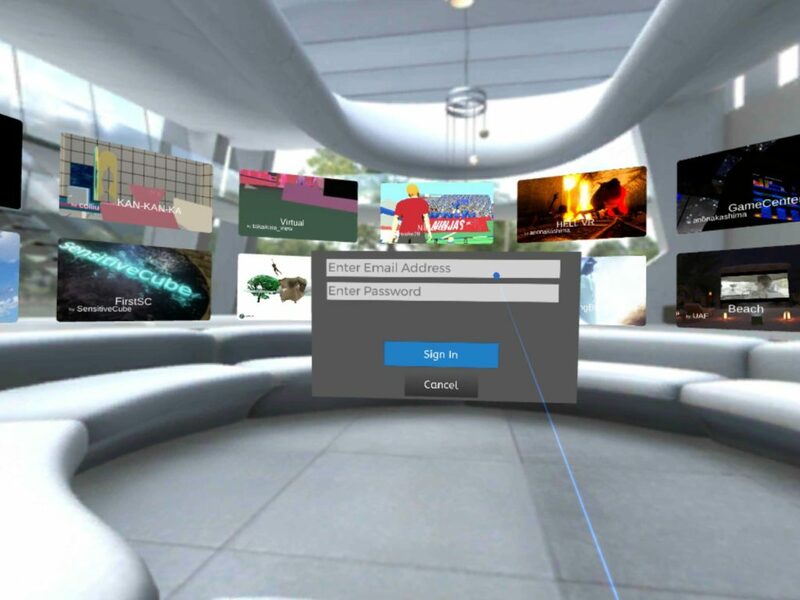 We will introduce how to operate the Daydream VR VIEWER in the scene. 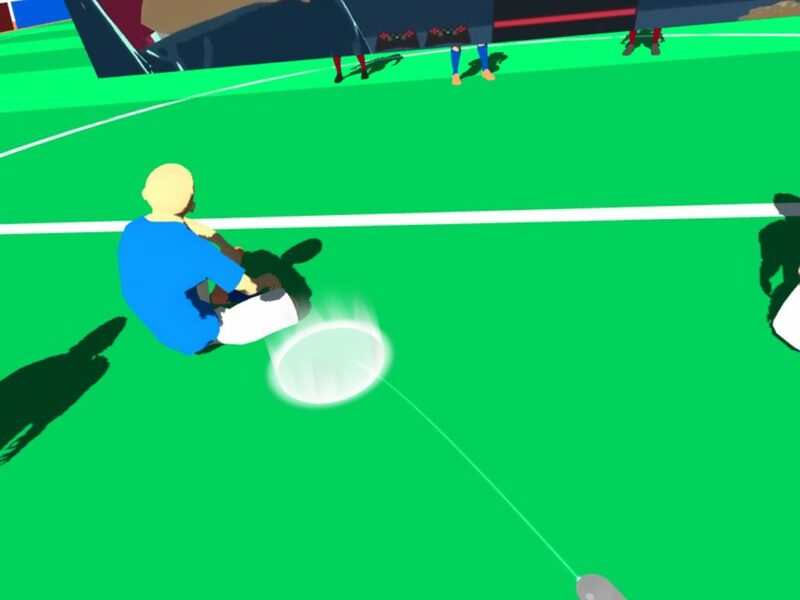 A white line and a circle in white will appear from a controller. The circle in white means that you will move. You will move to the circle in white after pushing a touch pod button. You will go back to a STYLY Home page when you click an APP button. 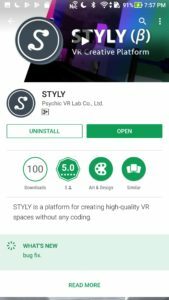 That’s all how to experience a VR scene made by STYLY (Daydream, Mirage Solo with Daydream). There are good points that you can experience scenes with a stand-alone HMD and move around without a limit. (Be careful about the people around you while using the Daydream VR VIEWER). Let us to experience the scene by using the Daydream VR VIEWER. Editor-In-Chief / Media Marketing / Engineer / VR Idol Producer / ゆるめるモ！VR衣装展示空間プロデューサー http://u0u0.net/PGAG / VRchat:chujo /VR表現手法、ツールなど紹介してくれるライター募集中です!